We were lucky enough to win two tickets to the Birmingham Literature Festival’s Teen Takeover event with Juno Dawson and Nicola Morgan! It was the only event that we really wanted to go to, because *dramatic pause* duh, it’s Juno Dawson(!) 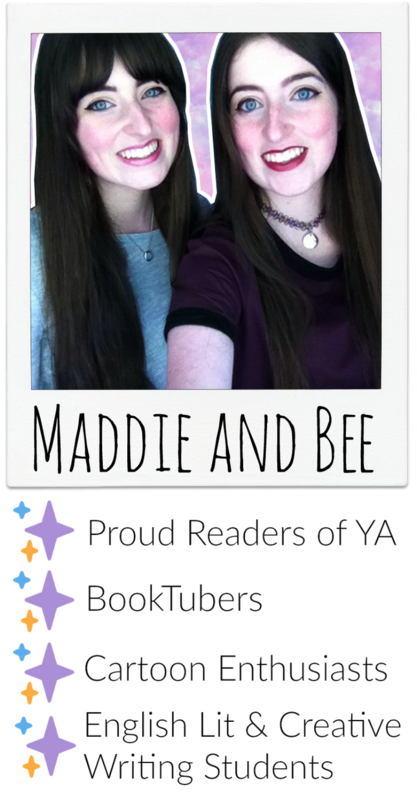 but we couldn’t afford the tickets so Maddie entered a giveaway (without my knowledge) and we won! (Thank you so much to Michelle Toy for hosting the giveaway!) I couldn’t believe that we’d get to see this amazing talk, and oh my goodness it was incredible. Both authors stressed the importance of talking about mental health issues and thinking about how they affect teenagers. Juno explained how the first experience of panic or stress is turned into a catastrophe because the sufferer can’t recognise what they’re experiencing. This is why she is so passionate about PSHE (Personal, Social, Health Education) being taught in schools, because if you can teach young people about the effects of mental health issues then they will be better prepared to deal with them, or, at least, be able to recognise the symptoms. The authors talked about limiting yourself by using labels. Once you’ve been professionally diagnosed or you diagnose yourself with a mental illness it’s important to remember that you are more than your mental illness. Nicola and Juno agreed that when a mental health issue becomes a part of your identity, it becomes destructive. When asked about whether they made an active decision to include mental health in their books, Juno responded ‘it never occurred to me not to put them in, [because they affect so many young people. ]’ Nicola talked about wanting to write about OCD because her niece suffers greatly from it, but because the mental issue came first in her planning the rest of the story hasn’t come together. To write something convincing, and not preachy or laboured, the characters and the plot have to come FIRST. Juno gave a perfect example of this: Am I Normal Yet? by Holly Bourne, which we have both read and really loved how although Evie’s OCD is prevalent and really affects her life, it’s mostly about female friendship and understanding feminism. Juno also talked a little about her new book Margot & Me which is set in the 90s, and follows a girl called Fliss, who goes to live with her grandmother in south Wales and discovers her gran’s war-time diary in the attic, and it unleashes some family secrets that have the power to destroy. It sounds ridiculously exciting, and once again, different to everything she’s written so far, and is expected to be released in late January 2017. Nicola also talked a bit about her upcoming releases – she’s mostly been focussing on non-fiction, but would like to eventually return to fiction – which is a mental health book aimed for schools! Juno agreed to write This Book Is Gay because she came up with the really cool title. After writing This Book Is Gay, Juno needed to take a break, (even though she was contracted for more non-fiction), so wrote Under My Skin and All of the Above, which proved to her that mental health as still at the forefront of her mind, hence Mind Your Head! Hollow Pike, Juno’s first novel, was set to be a four book series, but the book’s initial sales meant the publishers cancelled the other three books – even though Juno had written Hollow Pike 2! This turned out to be a really GOOD thing, because it meant that she wasn’t stuck to a ‘brand’, which is why all of Juno’s books are different, because genre can’t define her writing! Juno considers All of the Above a sort of re-telling of Hollow Pike without the human sacrifice. Under My Skin was about possession first and then became about dealing with internal struggles/anxiety/Feminism. Juno’s written a book about Grindr called Strings but after the release of Spot The Difference for World Book Day, where the audience was 10+, the publishers decided to delay its release.